Roebuck Bay is an embayment (30 by 20 km) south-west of the Dampier Peninsula on the coast of north-western Australia. The west of the bay merges with the Indian Ocean. Eroded orange cliffs with narrow sandy beaches line the northern shores and mangrove systems occur east and south of the Bay. Defining the bay’s boundaries is a challenge. 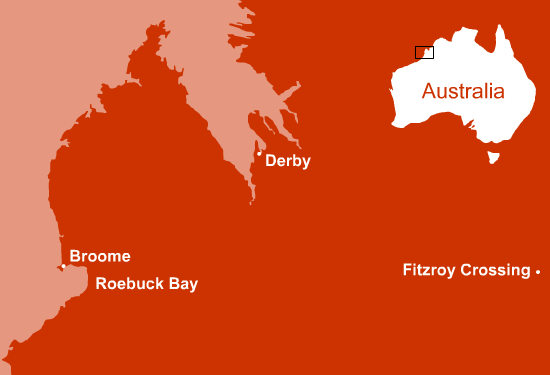 Maps typically show the sea meeting the base of the beaches and mangroves of Roebuck Bay. However, at low tide the sea edge is separated from these points by kilometres of mud and sandy intertidal flats. On the lowest tides more than 150 sq km of intertidal flats are exposed and the extraordinary benthic life. 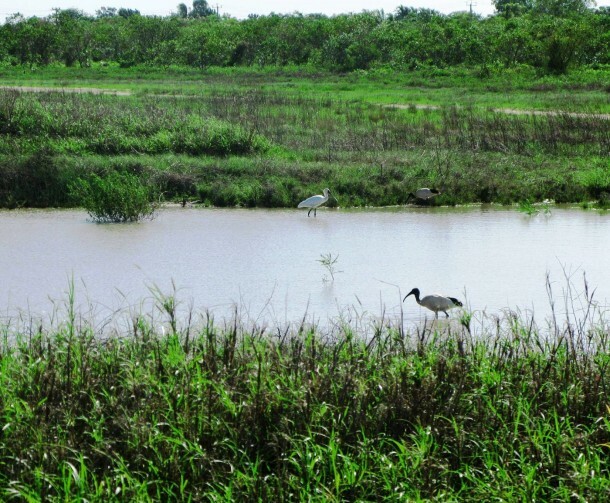 On the highest tides, the sea flows through the mangroves into the salt marshes and clay pans beyond. The tidal inundation of these habitats has profound effects on their ecology, so they can be regarded as part of the bay. 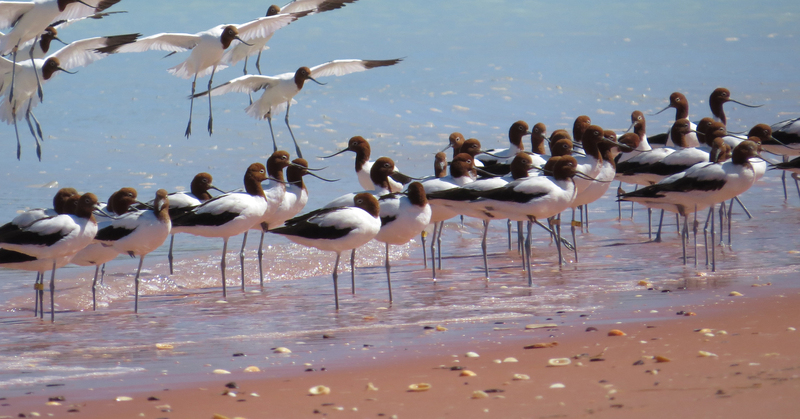 Also included are the saline grasslands of Roebuck Plains, Cable Beach and the shores of Broome peninsula. The oldest exposed rock type around Roebuck Bay is the Broome Sandstone, deposited in shallow water 120-150 million years ago. 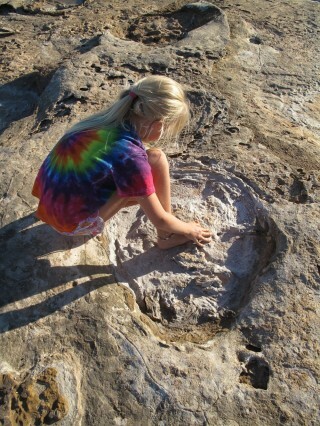 Dinosaurs roamed the region in those days, leaving behind remarkable tracks that are preserved in the sandstone. Changes in sea levels since dinosaur days resulted in the deposition of sediments that now cover much of the region. They include the Bossut Formation, variable and poorly cemented sedimentary rocks that form well exposed and attractively weathered outcrops behind the narrow beaches of northern Roebuck Bay. Sand eroded from the Bossut Formation (and other sources) was reworked, shifted by the winds, weathered and somewhat cemented, eventually forming pindan. Deep orange pindan form low crumbling cliffs along the northern shores but, for the most part, pindan country is flat with a distinctive vegetation dominated by acacias. References: (September 2003), Life along land’s edge Wildlife on the shores of Roebuck Bay, Broome. Rogers, DI. Piersma, T, Lavaleye M, Pearson GB, de Goeij P.